Califa libraries get a 10% discount on regular prices. BookBrowse - winner of Gold in the 2017 Modern Library Awards - is an affordable, user-friendly readers' advisory resource and online magazine that specializes in providing in-depth coverage and a wealth of supplementary information for the very best books. BookBrowse carefully sifts through the hundreds of books published each month, saving librarians and patrons valuable time, and features only the best - beautifully written books that engage as they entertain and deepen our understanding of ourselves and the world around us. Adding approximately 80 new titles each month, BookBrowse seeks out these books across a range of genres, both fiction and nonfiction, and links each book page to the corresponding book in the library's OPAC for one-click searching. · Extensive book club resources such as reading guides, top 10 recommendations and author interviews. · "Beyond the Book" articles that explore the historical, cultural, and contextual aspects of each featured book. · In-depth original reviews (both fiction and non-fiction). · One-click links from each book to the library's OPAC. · Previews of notable books publishing soon, available online or as a downloadable spreadsheet. Includes: pub date, genre, ISBN, publisher and page count. This option provides unlimited access to all of BookBrowse's resources within library buildings. BookBrowse recognizes the library's IP numbers so no login is required. This option provides unlimited in-library and remote access for all librarians and patrons. For remote access patrons, libraries have the choice of authenticating patrons themselves (e.g. EZ Proxy) or BookBrowse can handle the authentication (based on standard parameters of the library's card numbers). We recommend the latter as BookBrowse's unique login-free access system allows remote patrons to view much of BookBrowse without the need to login. It also enables libraries to link directly to any page on BookBrowse. · Read-alikes - created by hand, not computer algorithm - for thousands of authors and books based on the book's story, character, setting and language. Linked book to book and author to author. · The ability to search and cross reference by multiple categories such as genre, time period, geographical setting and a wide range of themes, e.g. setting + time period + theme. · Previews of the top 80+ books publishing each month, including reviews from numerous pre-pub sources - all in one spot. Each review is abbreviated to the reviewer's salient opinion thus avoiding plot spoilers and repetition. · The BookBrowse Review: BookBrowse's online magazine highlighting all the latest content (with opt-in email notifications). Publishes twice monthly. · Comprehensive book club resources including featured recommendations (searchable by genre, time period, setting and theme), reading guides, interviews with a wide variety of book clubs and advice on starting and running a book club. · Interactive features such as online book discussions open to patrons, literary quizzes and games. · Author interviews, biographies and a pronunciation guide for difficult author names. 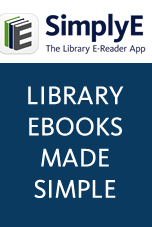 · Branding and customization for your library, including one-click links from each book to your library's OPAC. Search is by title and author so displays all available formats. · An early-preview edition for librarians of all books that BookBrowse will cover in the following month - available online or as a downloadable spreadsheet including pub date, genre, ISBN, publisher and page count, with a link to the full data on BookBrowse. Useful for collection development and for librarians wanting an "at a glance" guide to notable books publishing soon. · A range of static and rotating graphics with suggested text for use on your website. · An easy to remember redirect link to your library's login page (e.g. bookbrowse.com/abc). · Free posters, bookmarks and tent cards. · Free support for both librarians and patrons. Check out BookBrowse with full access, or visit bookbrowse.com/lib for library subscription information.